Websites that can streamline an application process benefit both the applicant and administrator. Keeping track of a long-term grants program can become problematic when proper organizational structure is lacking. Applicant submittals can be misplaced and reporting is often insufficient without the right system to file the paperwork. 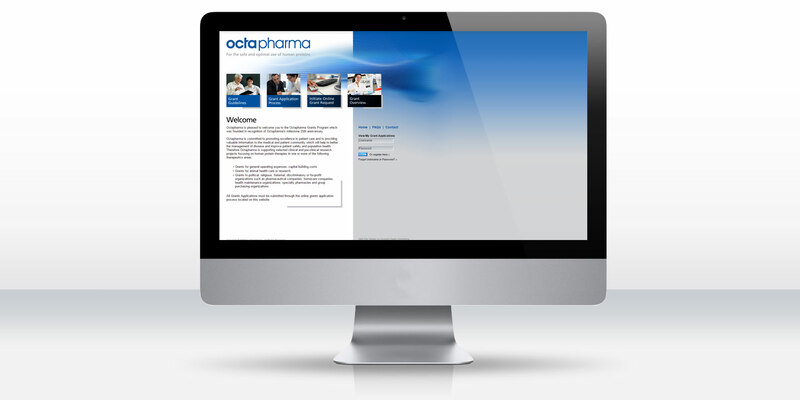 Octapharma utilized DDA Medical's website design and development services to program a grant submission website in order to streamline the application process, making it beneficial for both the applicant and the grant administrator. In 2009, DDA Medical and DDA Apps extended grant submittal services to Octapharma, a supplier and developer of plasma derivatives. They desired an easy-to-use and secure website where applicants are required to register to gain access to grant submittal privileges and application tracking functionalities. DDA was to provide programming and graphic design services to not only make this new site functional, but easy-to-navigate and pleasing to the eye. Applicants would have access to grant guidelines, application processes, and requests, while administrators could easily organize and track all submissions. While working closely with the client, DDA expanded on Octapharma's already established corporate identity, and DDA's graphic designers worked to achieve a website design that provided a fresh new look while maintaining Octapharma’s color palette and aesthetic themes. DDA’s talented team of custom programmers designed a multifaceted administration area for the quick review of submitted applications, operation reporting, and user tracking. The website made it easy to file, review, and track grant applications, which in turn made the long-term grant programs more efficient.